Congratulations! That is fantastic news. Apollo has so many features that meet the needs of both our staff and users and yet is so easy to use. 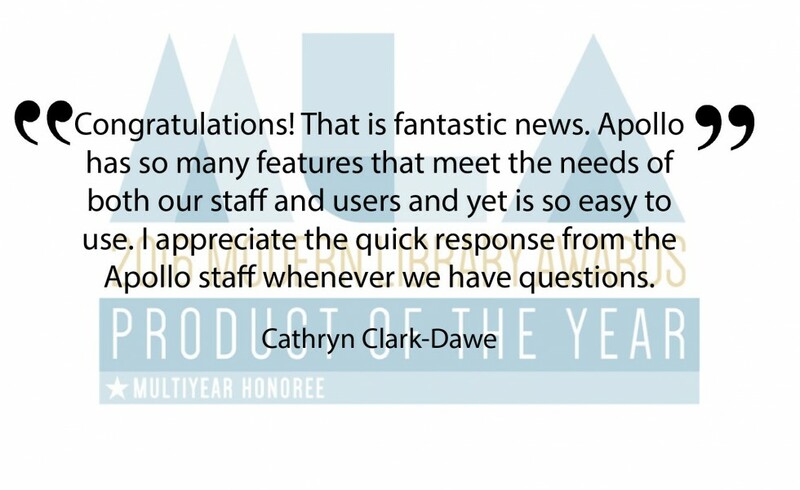 I appreciate the quick response from the Apollo staff whenever we have questions. (See more amazing comments here).